Jasper Morrison is a leading designer, considered to be one of the most accomplished product designers of his generation. Morrison is best known for his work in furniture, lighting, electrical products and tableware. Morrison believes the role of the designer is not to invent form, but rather to be open to the surrounding world, reapplying form to meet new purposes. He is especially interested in those everyday objects that are so good in their design they almost go unnoticed. 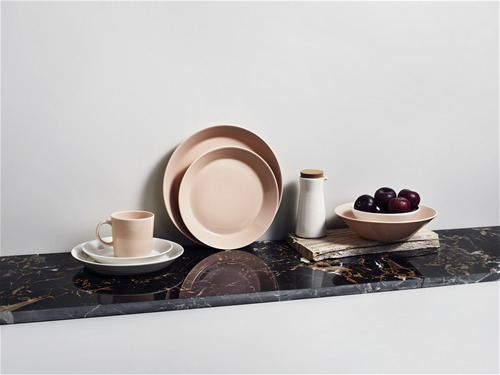 Raami, a new dining collection designed by Morrison, is launched in 2019. Each item from the Raami collection is an individual, perfect on its own, yet a significant part of the entity. Like a family, or a group of friends: each member brings their own characteristics to the table. Raami has been designed with great attention to detail. When taking a closer look, its fine characteristics come out. The feeling of Raami is familiar, something you've known throughout your life. 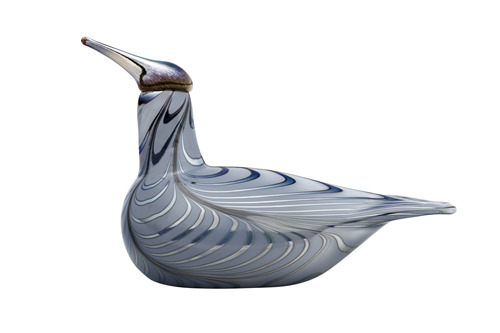 Today, collecting Toikka birds has become an international activity with collectors tracking down rarities and discussing favorites with the same enthusiasm as their real-life equivalents in the ornithological world. 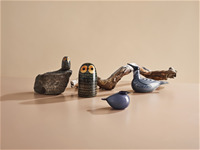 These lovely little creatures are individually mouth-blown making them a unique treasure in homes, offices or any other space where they nest. 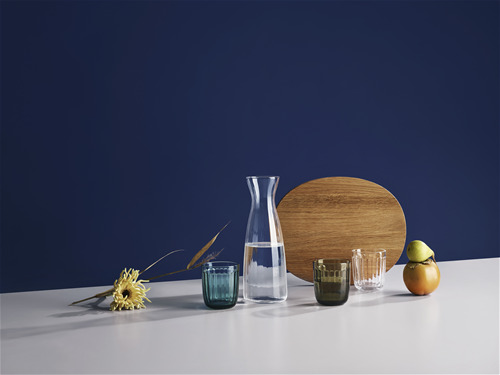 Designed by one of Iittala’s most iconic design heroes, Kaj Franck, Teema is a versatile collection with endless combinations of shapes, sizes and colors. 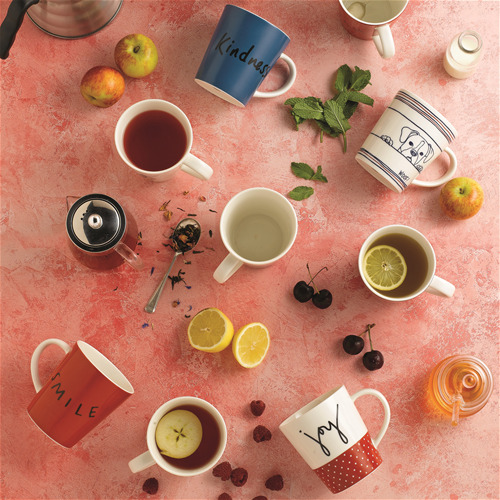 Functional, durable and refined, Teema is the perfect tableware for everyday use. Capturing the essence of Scandinavian design thinking, each Teema piece is derived from three simple forms: circle, square and rectangle. It’s what you use them for that makes them yours. Plates, platters, cups and bowls, each and every Teema piece is oven, freezer, dishwasher and microwave safe. So not only will they look beautiful on your dining table, but they’ll make cooking, serving and clean-up fast and easy. Designer Kaj Franck's vision demanded the removal of everything excessive, leaving only the essential. As Kaj Franck put it, "Color is the only decoration needed". 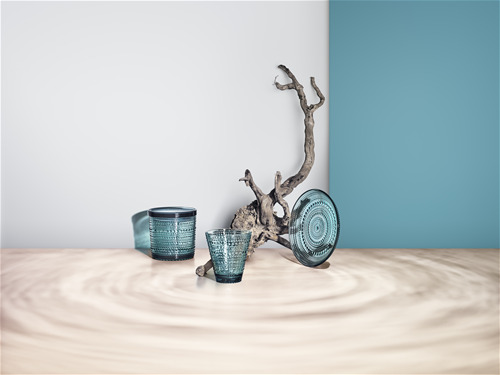 Inspired by waves in the water, the Aalto vase is a symbol of Finnish design and one of the most famous glass objects in the world. 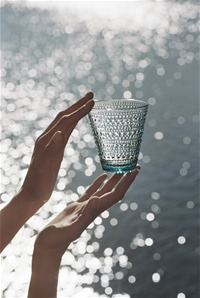 Designed by the legendary Alvar Aalto, each glass vase is individually mouth blown at the Iittala Glass Factory in Finland. 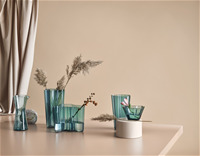 In 1936, Alvar Aalto’s series of glass vases won first prize in the 1936 Karhula-Iittala Glass Design Competition. Compared to the decorative objects of the time, the simple yet organic shape of this vase was a revolutionary statement. 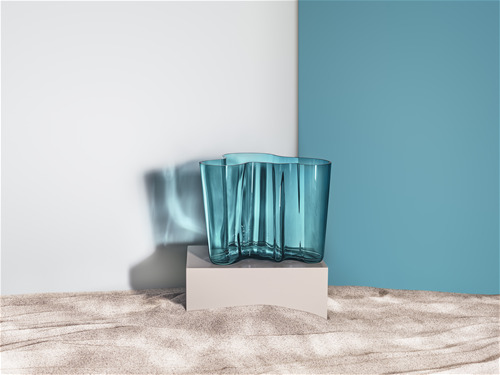 Each and every vase in the Alvar Aalto Collection continues to be mouth blown at the Iittala factory and comes in a wide range of colors and sizes. 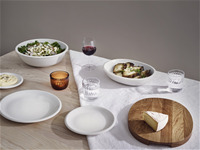 The Collection is a staple of modern Scandinavian design and Iittala’s most iconic series. 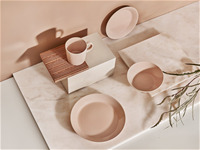 Ellen’s style and character sit at the heart of the collection, which includes contemporary tableware, giftware and flatware.